David Bruffett is an amazing lawyer. I had trouble finding someone in Syracuse who I could trust and who was out for my best interest and not just chasing dollar signs. Once I contacted Mr. Bruffett, I immediately felt a huge weight lifted from my shoulders. I had 6 outstanding tickets and he was able to get 2 dismissed and the rest all reduced to non moving violations with extremely reasonable fines. I could not recommend him enough. 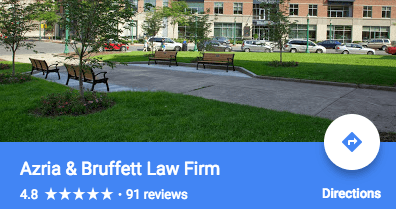 Whether you have simple speeding tickets or a suspended license charge, Azria & Bruffett's Firm is truly the place to go. Thanks again David. I worked with Ralph Habib on a speeding ticket 55mph in a 30mph zone. I had my ticket reduced to a no point, non moving violation. I was very pleased with the outcome. Seth and his team helped me out with a speeding ticket I got in Cortland. He was professional and courteous. I spoke with him with-in a hour of leaving a message with his office. All future correspondence was via email, but he was available by phone. I worked with one of his staff members as well. My 31 mph over limit (6 pts) was reduced to non-speeding 2 pts fine. I highly recommend Seth and the Azria Law Firm. Got pulled over for doing 16 miles over the speed limit on my way to Canada. Contacted his law firm and they reduced my ticket to what normally is 4 pts to 0 pts. Paid the fine and retained a clean driving record. Thank you Seth!